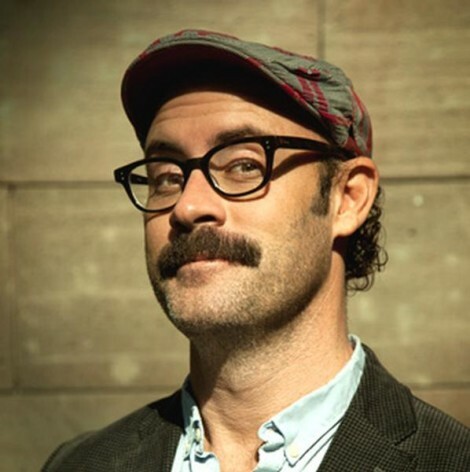 Sam Simmons is one of the most daring and unconventional comics in Australia if not the world. Completely original and vastly absurd, he has one foot firmly planted into the soils of reality, and the other rooted deep into the psyche of being silly. In 2011 alone, Sam took out the award for Best Comedy Show at the Adelaide Fringe Festival, was nominated for a Barry Award for his Australian solo show, The Precise History of Things and nominated for Edinburgh’s top Fosters Comedy Award (the comedy equivalent of an Oscar) for his 2011 offering there. He now works between London and Australia full time, and his brand new 2012 show About The Weather was the only full hour Australian comedy to be produced at The Montreal Just for Laughs Festival in the last 8 years.